Familiar Joy: Friday Favorites: Stitch Fix time!!!! 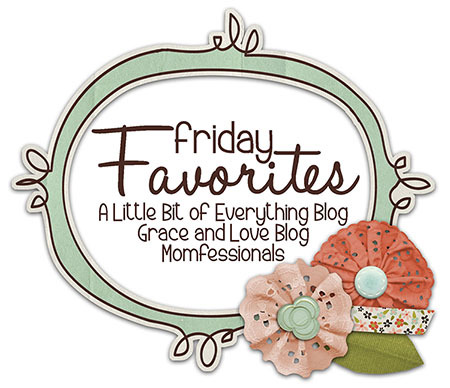 Friday Favorites: Stitch Fix time!!!! And boy, oh boy, this box did not disappoint! If you want to read more about how Stitch Fix works, check out my post HERE. And if you want to try it out for the first time, click HERE! I mean, really. What do you have to lose?? The $20 styling fee is applied towards any item you purchase, and chances are you'll love something! I've met very few people (and I know a TON of people who have used this service) who haven't liked at least one item. This box was very affordable, and if I kept everything (I did!!! ), I get 25% off all of the clothes! That's a $44 savingsfor this box! It was actually going to be more expensive to send one of my iffy items back, than it would be to keep them all and get the discount. Easy decision! And two of my iffy items can either be given as gifts, or sold to a friend. Win, win! First of all, I know it might seem weird that my stylist sent me a summer-y dress in the middle of fall, but I asked for it! We are going to Hawaii for 2 weeks in December, and I wanted something fun to wear while we are there! This was exactly what I was looking for. It has a preppy look, which I totally love, and the racer back is amazing. I love the cut, the fit, the fabric, the colors, etc. It's just me. It's a little different than the typical striped maxi dresses that are everywhere, and I love that. This was a definite YES! When I first pulled this out of the box, I loved the polka dots! I don't have anything like this in my closet and I thought it was a fun pattern and perfect for teaching. When I put it on, I wasn't sure that I loved it. My stylist suggested wearing a long white tank underneath and I think that helped it feel less boxy. It's hard to tell the colors in this poor lighting, but it's navy with a redish orange stripe. The more I look at it and wear it, the more it's growing on me. It was actually the most affordable item in the box and I think it's going to get good use. It's very well made and I feel like I could even wear it out for a girls night with skinny jeans and a cute pair of booties. Another YES! My son's teacher, who is also a good friend of mine, got this cute cardigan in her last Stitch Fix box. I've been telling her how much I was hoping to get something similar...and I did! I couldn't believe it! It's the exact same one, in a different color. This is actually a burnt orange color and perfect for fall. I can layer it over the maxi dress or wear it with may of my tops I already own. Burnt orange is almost a neutral and I have a feeling I will get a lot of use out of it. What I really love is the fit in the front, how it drapes longer, and the material is amazing! It doesn't feel like a cheap Target or Old Navy cardi. Nothing against those, I have plenty, but they last 1-2 seasons and are done! I am super excited about this one and give it a YES! To be honest, when I first pulled this item out of the box, I wasn't sure on the print. I'm kind of over chevron and felt like it might be teeny bopper-ish. However, once I put it on, I quickly changed my mind. I've purchased dolman tops in the past and the fit is usually a little funky and often unflattering. This was different. It fit well around the waist without over accentuating my <ahem> problem areas. It also was nice and flow-y through the arms with a perfect 3/4 sleeve fit. I actually pushed them up in the picture because when I left them down it photographed weird. I think the pattern will be fun in my closet and I also feel like it would be a good match with my jean jacket from my last box. So, surprisingly, I'm giving this a YES! I'm pacing myself on these boxes, not wanting to over indulge, and realizing that I don't need clothes all that often. So, I'm waiting until January for them to send me a new box. Until then, I'll just stalk other blogs and Facebook posts when people get theirs! Have you tried Stitch Fix before? What was your experience like? Would you try it again? I love all your Stitch Fix picks! I just got my second box today, and I'm not sure I like ANY of it. I loved my first box, so I was a little disappointed on this one. Hopefully the next one will be better if I give lots of feedback. Have a great weekend! Oh man! I'm sorry! I've had great success with mine. Do you have a Pinterest board? I've heard that really helps! stopping by from the friday favs link up...love your stitch fix items!! i got a couple of stitch fix boxes but wasn't loving what i got, so i canceled. i'm thinking i may need to rejoin & be super specific on what i like/don't like. the dress and the the orange cardi are my favorites..so cute! Stopping by from the linkup. Love that hoodie!! I'd be interested, but I'm sure you are smaller than me. I may have to request it on my next fix.